Across town, or across the country. We do it all. We professionally handle all your belongings. Let us do all the preparation and heavy lifting. We provide your family with peace of mind. We specialize in expedient moves. Door to door delivery to your new home. Mayberry’s Van & Storage coordinates moves for businesses, families and corporate employees originating anywhere in the world. We have offices and warehouse facilities located in Dayton, Ohio. Because we’re an agent for North American Van Lines, you know you can trust us with moving your most valued possessions. 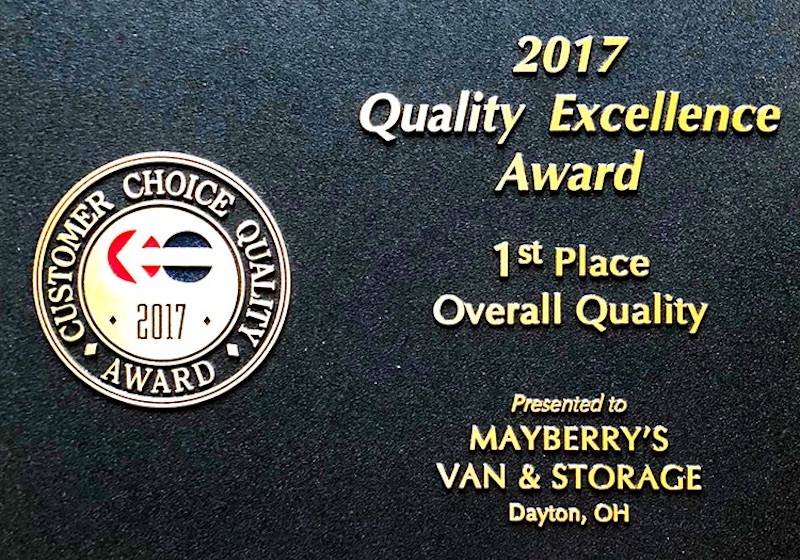 We have the personnel, experience, equipment, and communications technology to meet and exceed your relocation needs and expectations to be the best Dayton mover. We offer your belongings the best protection available for your peace of mind across town and across the country. We are experts at relocating all types of offices and businesses from a one-person facility to a large corporate campus. We have modern, climate controlled facilities which are equipped with fire and theft protection devices for your safety.